If you’re staying in Sabah in Malaysia on the island of Borneo, it’s highly likely you’ll have heard of proboscis monkeys. They are wild, they live in the jungle and they have long noses. But more importantly they are native to the island of Borneo (Malaysia, Brunei Darussalam and Indonesia). This is the only place on planet earth that you can see them outside a zoo. It’s worth doing, and naturally it’s a popular touristy thing to do. Hardly off the beaten track I know, but as a traveller I do the popular things too!! (Hence why I mixed hammocks in un-known Suriname with popular sights like Machu Picchu on my South American tour). 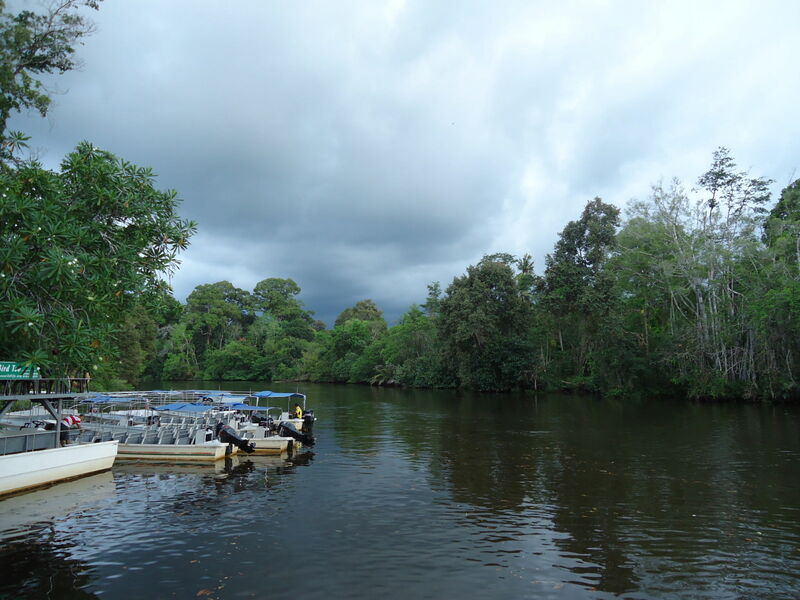 You’ll have guessed that Borneo has lots of jungles and therefore lots of tour companies organising these monkey trips (and Orang Utan ones). 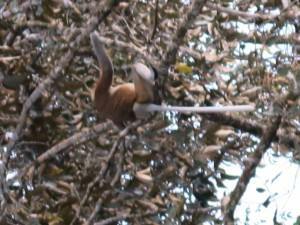 To book a trip to watch the proboscis monkeys, you are better to book it through a tour company. If you’re staying in the city of Kota Kinabalu like me, just pop into one of the many tour operators in town and book it. 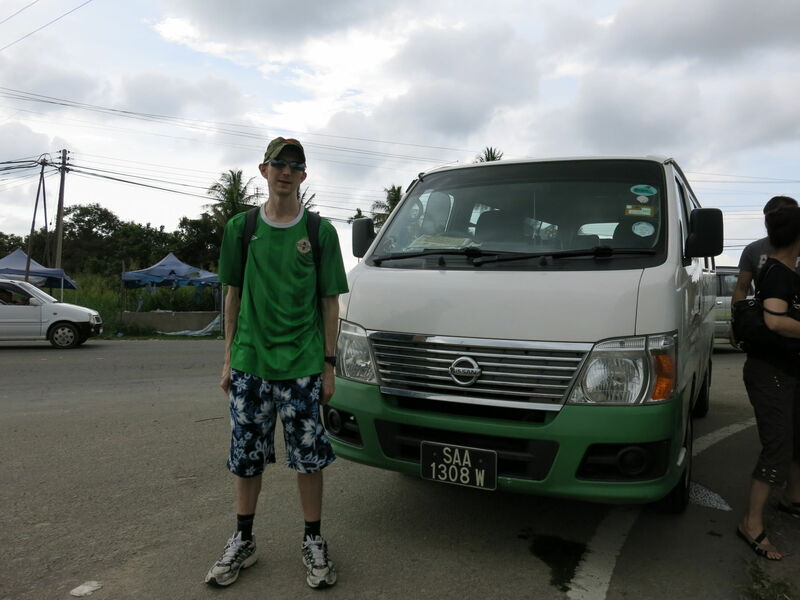 If you are a really tight budget backpacker then you could realistically hitchhike or hire a car and drive out to Beaufort Town yourself then try to blag onto one of the boats that take you to where the proboscis monkeys are. I really don’t recommend it. I have met tons of so called “budget backpackers” over the years who insist that booking through tour companies is always dearer – it’s often not and your best way to see the proboscis monkeys is to book it through a company. 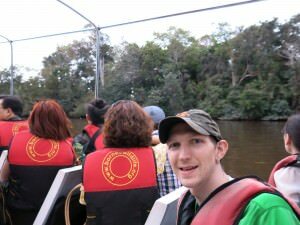 But make sure they include hostel pick up, food, proboscis monkey boat tour and fireflies boat tour. It’s easy to organise – find a company, agree a price and get your tickets. 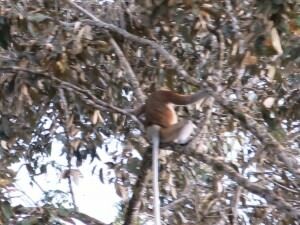 How much does watching Proboscis Monkeys in Borneo cost? If you just want to see the monkeys then you will probably be able to get it for around 60 Ringitts (or less if you have your own transport). However we booked a tour which included other things. Our entire tour cost 150 Ringitts for a 7 hour trip. This cost also included the fireflies, the transport to and from the hostel, the boats, afternoon tea and a full dinner. We also ate our breakfast at the hostel that day (included in our hostel price) but as it’s all you can eat you can get by without eating anything else that day – the afternoon tea and evening dinner is enough. 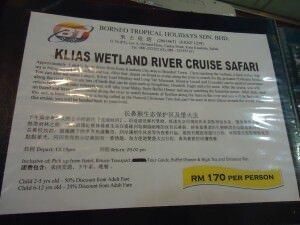 Our tour of the Klias Wetland Park – ignore the price on there – you can get it for 150 Ringitts like we did! 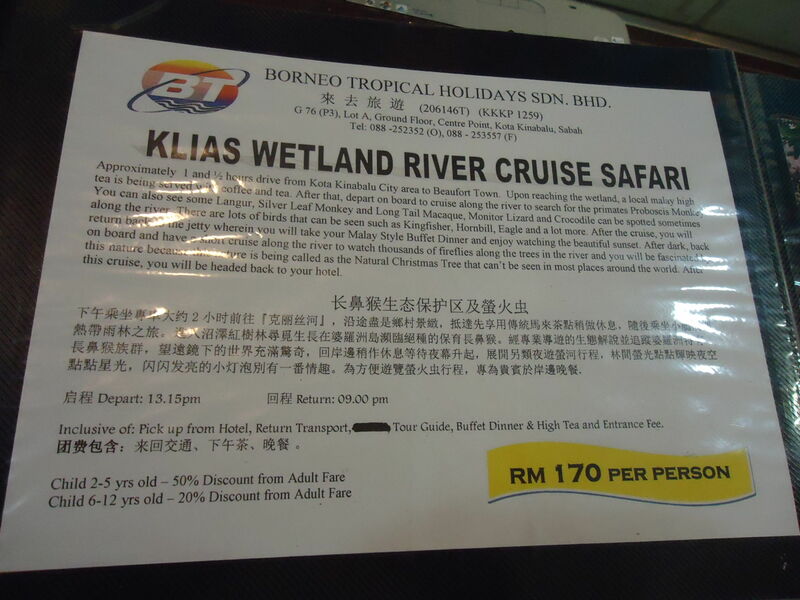 How do you get to Klias Wetlands Park for watching Proboscis Monkeys in Borneo? We were picked up at our hostel at 2pm in Kota Kinabalu, driven to a place called Beaufort Town which houses Klias Wetland Park. Transport was comfortable and efficient and all included in the tour. It was a small mini-bus we got. Getting to Klias Wetlands Park should be easy enough – our transport was included in the tour and it usually is. Are you guaranteed to see Proboscis Monkeys on the tour? 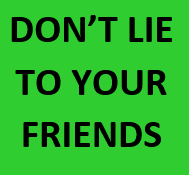 NO – so just be aware that in bad weather (thunderstorms and heavy rain) the boat might be cancelled and the monkeys might not even be viewable. 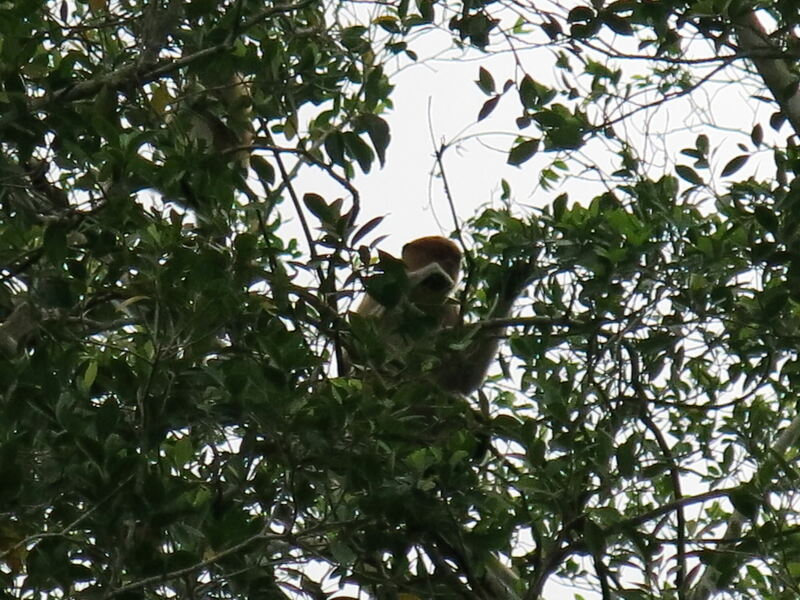 We were actually lucky as it rained heavily just after we had already seen a load of proboscis monkeys! 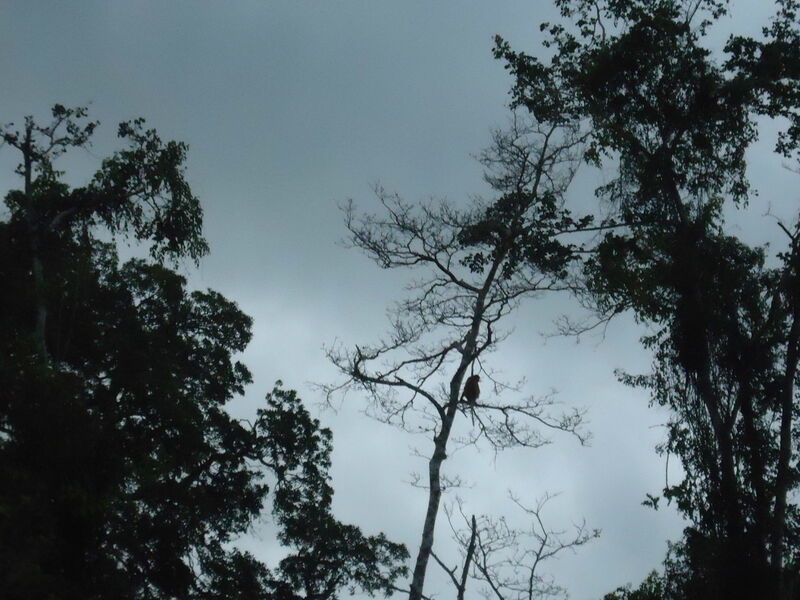 We saw about 10 Proboscis monkeys on our tour but in bad weather you may not see them so just be aware of that. 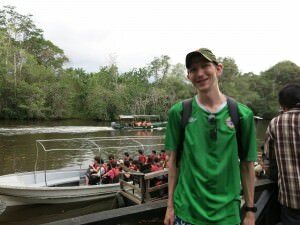 What do you need to bring while watching Proboscis Monkeys in Borneo? I’ll leave it up to you, but in terms of travel extras, I brought sun cream, a hat, sunglasses, a raincoat, a camera and a torch. If you own binoculars you can also bring them to get a better close up of the monkeys – I don’t own binoculars. 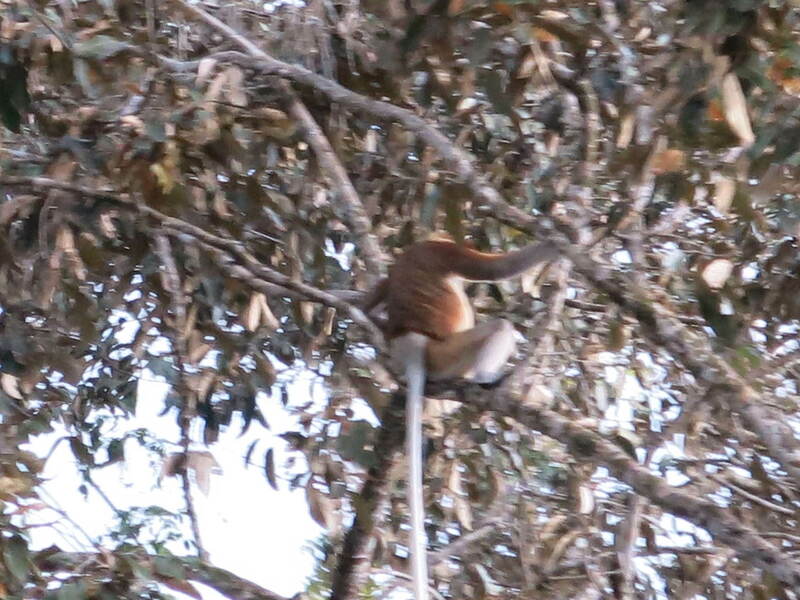 Is it fun watching Proboscis Monkeys in Borneo? Yes it’s a great way to spend the afternoon. Definitely worth doing! 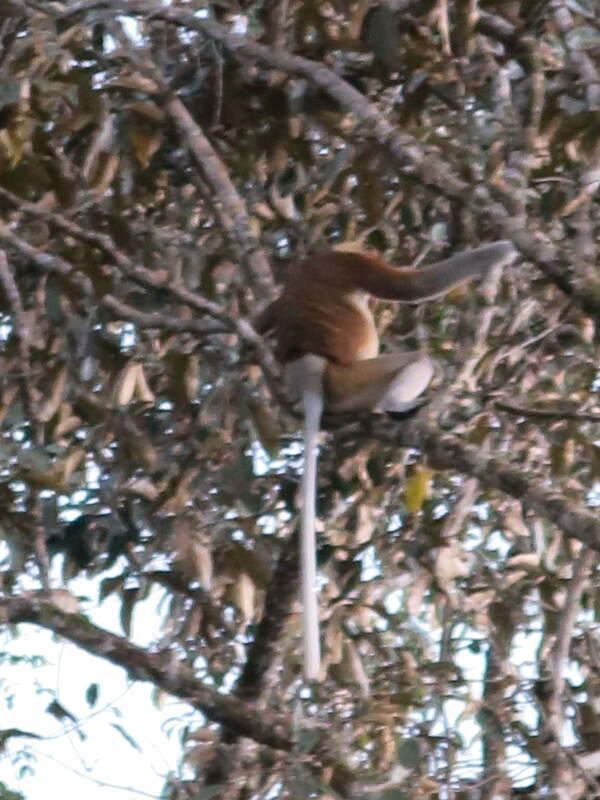 You will actually see a range of monkeys – look out for the long nosed ones as they will be the Proboscis Monkeys, they also have a very long tail! What is watching Proboscis Monkeys in Borneo all about? You arrive at Klias Wetlands Park and have you afternoon tea (this includes buffet food). 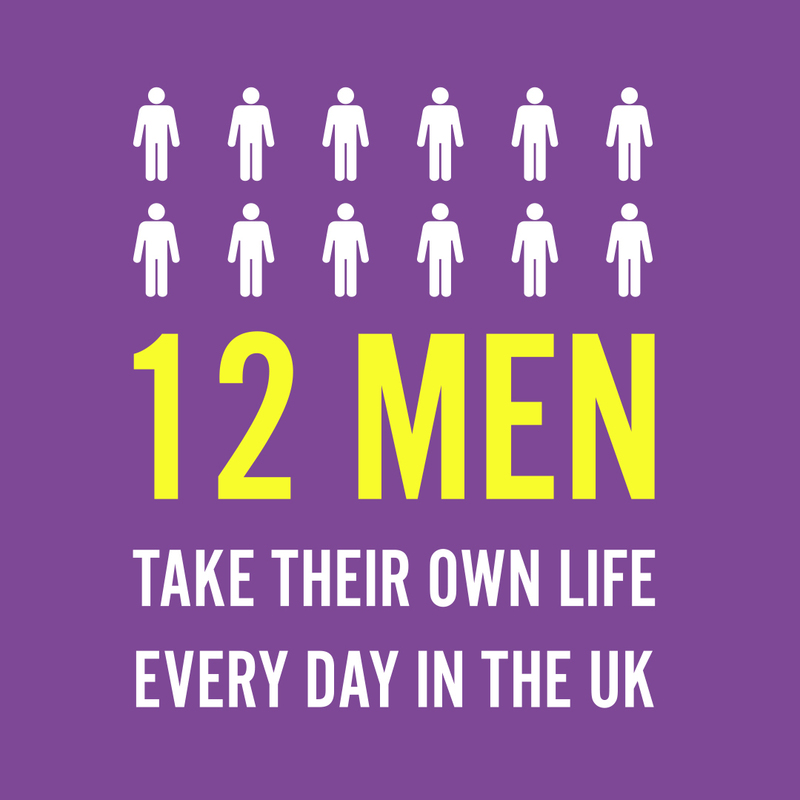 Then you put on your lifejackets and board the boat. Your guide on the boat will alert you when the proboscis monkeys are viewable but you ail more than likely see them yourself. You will also see crocodiles. The boat tour will last around an hour and just before it gets dark you will be taken to a riverside restaurant for a buffet dinner. That’s really all there is to it! 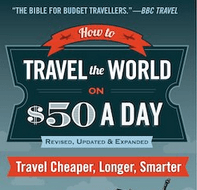 Book it and enjoy! You will see other types of monkeys without the long noses such as this one. It’s not a proboscis monkey. They are wild monkeys with long noses and long tails they live in the jungle. You will see them hanging from trees, sitting on trees and swinging from tree to tree. It’s all exactly as you imagined monkey life to be. What a Proboscis monkey looks like!! Yes their noses really are that big. Worth seeing and totally native to Borneo. 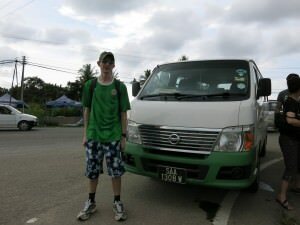 I’ve spent over a week touring round Borneo now and am loving it! Can’t wait to write about more of the places I’ve been, it’s an epic lifestyle of travel! This entry was posted in Animals, Asia, Beaufort, Borneo, Malaysia, Monkeys, Sabah. Bookmark the permalink. Wow look at those things! This world is full of crazy and amazing stuff! 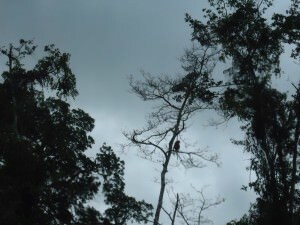 Did you get to see any wild orangutans while there? That is a dream for me but I need to make sure our visiting those fellas isn’t impacting badly on their diminishing homes before I go ahead and do it. 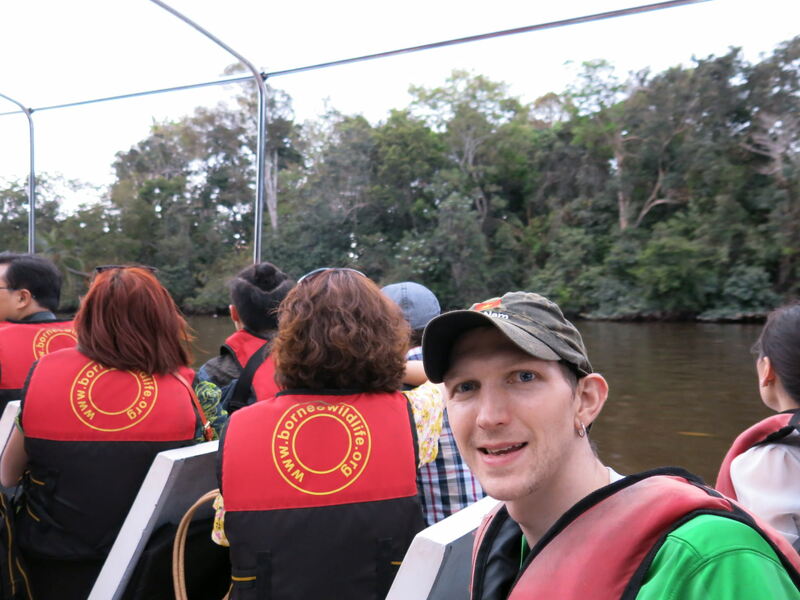 Seriously though, Great trip – Proboscis monkey’s are amazing. A firefly tour as well! You know I think firefly numbers are dropping – when I was a kid you’d find hundreds at dusk, without trying. Now I go looking for them and am lucky to find 1. They just about have a bigger nose than me Maria 🙂 but seriously great to see them jumping across trees. Videos and photos can’t capture truly what the eye sees…I’ll post about the fireflies soon too.